Look and Read. Includes stories, nursery rhymes, songs, games, and videos. NEW! Learn about your favorite subject. Look up words. Read magazines, newspapers, biographies, primary sources, country information. Find pictures. Translate articles into more than 30 languages. Learn about people, places, animals, sports, and more. Includes videos, images, maps, games. Hear text read aloud. Text, images, charts and graphs, and educational videos from books, magazines, and news periodicals on interesting and important facts with connections to current and past events. 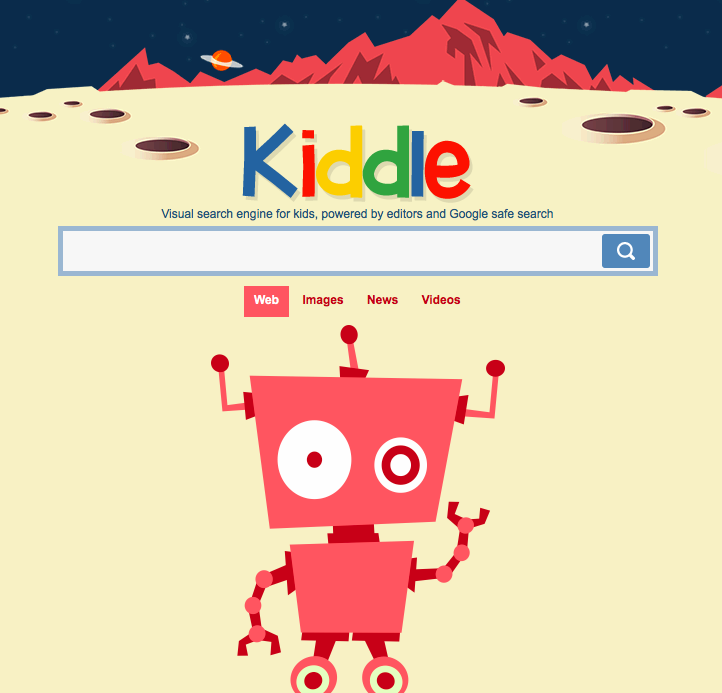 Google's visual search engine for kids. 1. Safe sites and pages written specifically for kids. 3. Most search results are illustrated with big thumbnails, which makes it easier to scan the results, see the differences among them, and click on the most appropriate results.